Admit it we all have ugly mugs that we get as gifts, or at conventions, seminars that we store and never use. 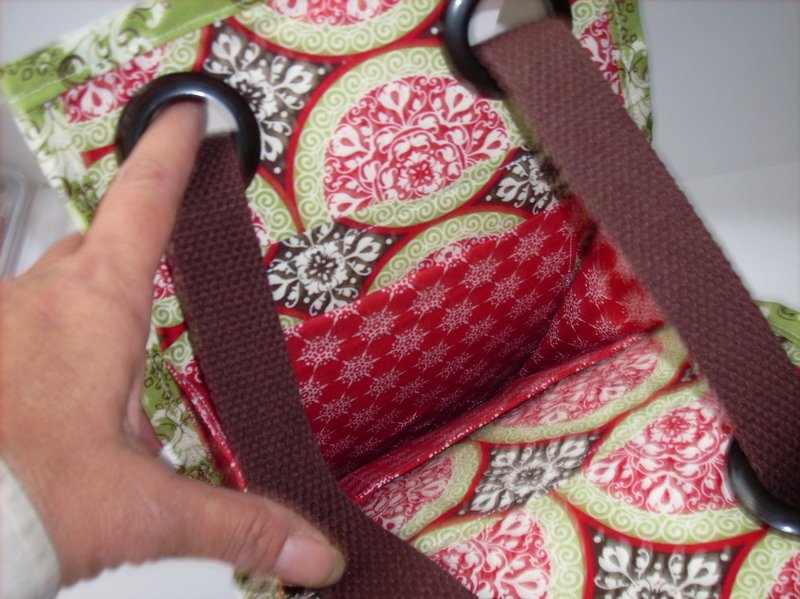 Cammie is the queen of going green and decide it was time to cover up her ugly mugs using the beautiful line of Stampin Up fabric and notions. 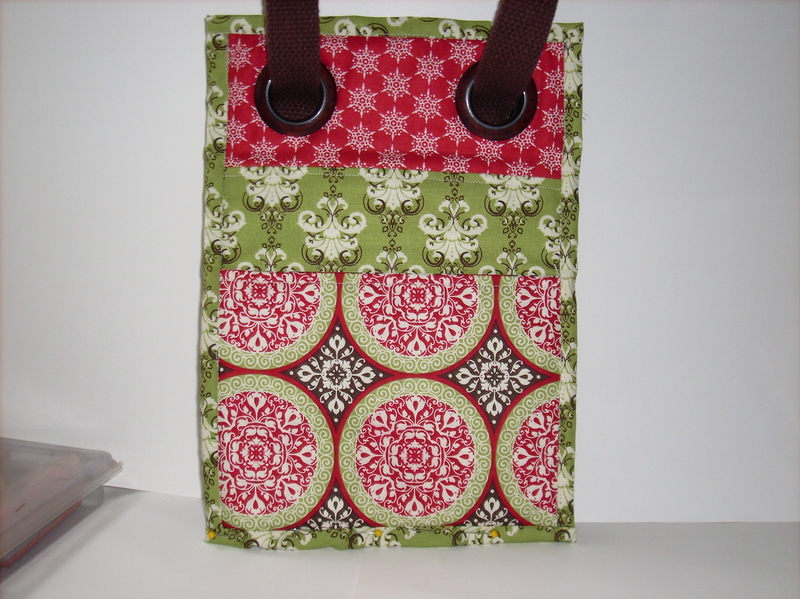 She designed her own pattern so that she could use each of the 3 fabrics that come with a Stampin Up fabric offering. 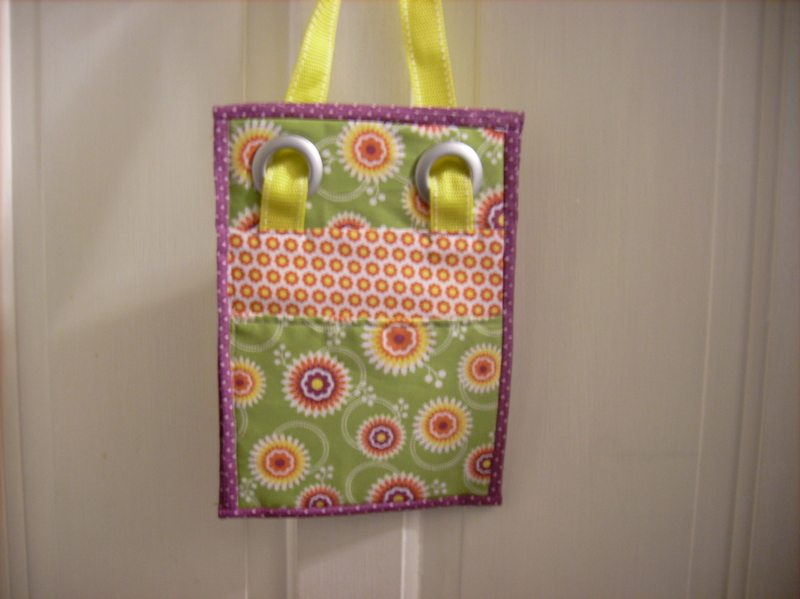 The fabric caddy has pockets on the inside and outside so that you can hold various Stampin Up tools or other household and office supplies and the center reservoir of the mug also holds items. So Cammie adds notions to transform the ugly mug into a pretty functional desk, table or counter organizer. If you are interested in purchasing one of these “Ugly Mug” caddies they are $10 (not including the mug) plus $2.50shipping costs. 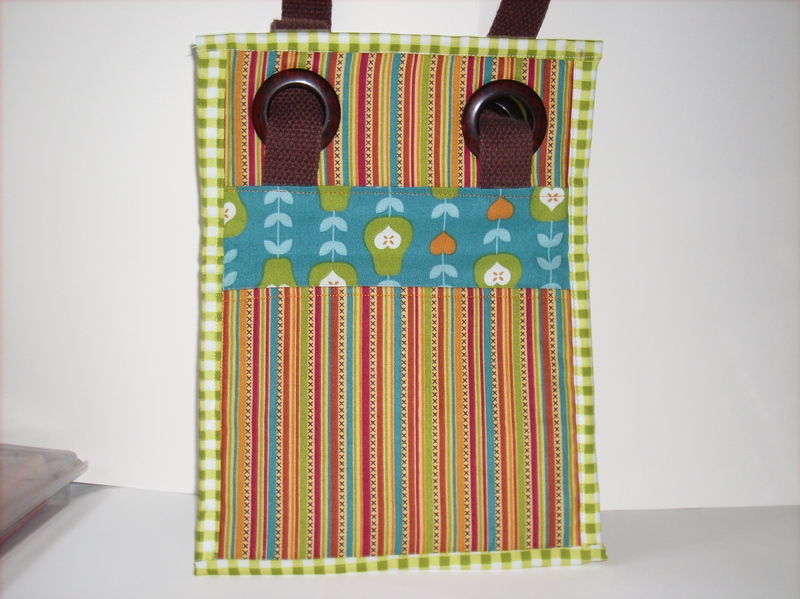 If you prefer to choose a fabric from page 170-171 of the new Stampin Up Catalog (See Catalog Tab for online version) then email Cammie at cammiet@att.net with the fabric choiceand she will provide you with invoice and payment options. 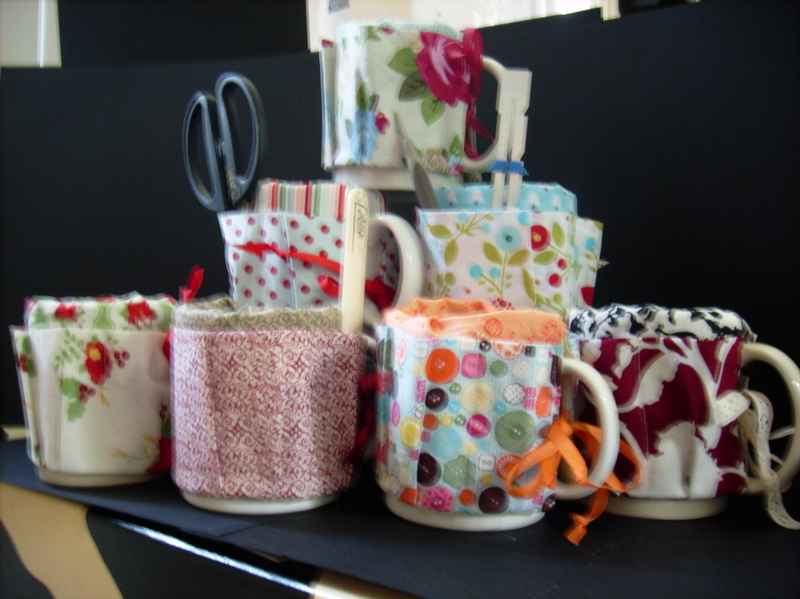 If you like these ugly mug caddies wait until you see the full ensemble of items available using Stampin Up fabric. They will post tomorrow.